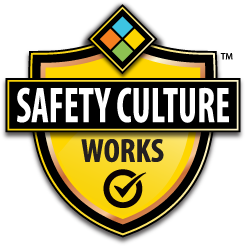 Most successful organizations accept Safety Culture as an important facet of the way they do business. But try as they may, the feeling of being truly connected to their Safety Culture alludes them. No matter what they do, they just can’t seem to insert themselves into a tangible process related to their workplace safety. One of the culprits behind this feeling is paper. Paper-based processes cause disconnectedness, miscommunication and unnecessary delay. All these factors contribute to a dilution of interest in safety. If a person sitting at their desk reviewing the document can’t relate to or imagine the conditions described on the assessment from the workers in the field – the significance of the hazard assessment exercise is lost. Field-level hazard assessments are one of the greatest opportunities for stimulating improvement and growth in your Safety Culture. They represent the guiding information provided to workers by the organization to keep them safe in their work. They empower workers to be knowledgeable about their own safety. However, if the workers get the sense that nothing comes of their input and feedback, conducting hazard assessments will be relegated (in their minds) to an exercise in futility – simply something where they go through the paces, just muscle memory. The hazard assessment processes used throughout industry must be made more transparent and socially connected across the organizational chart if we wish to scrape out every ounce of benefit these assessments could provide. And, no surprise, paper isn’t going to be the platform that will create the level of p2p interactivity necessary to push the hazard assessment process beyond the state it is currently mired in. Using paper for any process at this point is akin to racing against a supercar with a horse and buggy – and expecting to win. Industry (especially in the safety field) has been allowed to become far to comfortable using antiquated methods of doing things. If you told me a new hard hat has just been released that better protects the wearer and is more cost efficient than the old one, reason dictates the only logical response would be to adopt the new version posthaste and do away with the old one. Also, my opinion of the old hard hat would have to change. Since there is a safer version available (and it is reasonable for me to acquire it), I would have to conclude the old version presents a potential exposure negatively impacting the quality of safety – even if the intention of the old version is to keep me safe. As leaders within our organizations, each of us must make every reasonable effort to reduce risk. That means drawing on advances in equipment and technology. No one should idle in the old ways. Embrace anything (within reason) that can advance your ability to return home safe at the end of the day. With solutions like the SayleSafety App, it’s easy to make the transition to digital. And, once you’ve made the change, your organization will see a visible difference in the way people interact with the hazard assessment process. Members of management will feel more involved in the work because of the real-time interaction with people in the field, and workers will see the value in placing a genuine effort into their input as they will see others within the organization interacting with their feedback from the field. Technology can create amplified cohesion within the hazard assessment process, causing people to feel truly connected to the organization’s Safety Culture. By drawing on technology, Safety Culture will be positively influenced, and the quality of safety will be improved.